Everyone wants healthy, gorgeous hair. Having amazing hair is not simply a matter of choosing the right shampoo and conditioner. When you put in the effort, you can enhance the beauty of your hair and keep it growing strong. MONAT Global Corp, a hair care company, offers the top 5 ways to make your hair as beautiful as it can be. It may seem counterintuitive, but having your hair trimmed regularly will help it grow. Removing split ends and breakage will encourage your hair to grow more from the roots. Trimmed hair grows much more easily, and short hair will retain a soft and shiny appearance. People with short hair should have it trimmed every 4 to 8 weeks to preserve the integrity of the style and remove split ends. People with long hair need to have it trimmed every 10 to 12 weeks for best results. Visiting your stylist regularly will keep your hair in its best possible condition. Avoid brushing or combing roughly. If you have tangles, consider combing them out when the hair is dry rather than wrangling with them when they are wet. Wet hair is far more likely to break than dry hair. People with fine, thin hair need to be especially careful. Comb out tangles from the bottom to the top. Be sure to use a sturdy wide-toothed comb for this process. Use a quality brush at least twice a day. This will help to distribute the natural oils in your hair to keep it smooth and tangle-free. You may wish to consider buying a natural-bristle brush for the best possible health of your hair. Also, be cautious with using heat. If your hair breaks easily, restrict blow drying and avoid using heated styling appliances whenever possible. Excess heat will make your hair brittle and cause more split ends. Hair should be washed with a quality shampoo. Skipping a day can be beneficial for most hair types since water causes hair to swell. Over time, this can cause breakage and frizz. You need to make sure that it is not stripping or damaging your hair. Work it gently into your scalp and take the time to remove the buildup of oils. If your hair is oily, use a clarifier each week. Conditioning your hair properly takes practice. Make sure that you use the proper type of conditioner for your hair type. If you have thick or curly hair, use a specialized product. Start with a dime-size application of conditioner if you have short hair. Work it in starting at the ends, avoiding the roots. This will help to prevent excess oiliness. Many people overlook this method of ensuring beautiful hair. Hair is a type of protein produced by the body, and the body must be at its best possible health to produce amazing hair. Make sure that you eat a balanced diet with enough proteins and fats. Make sure that you consume enough Omega-3 and Omega-6 fatty acids. These will help your hair to grow strong. The scalp needs as much care as the hair. Taking care of the scalp will ensure that the hair grows out healthy. If you don’t have the funds for an expensive treatment, using a basic dandruff shampoo once a week will keep the scalp clean. Oil treatments are great for dry or curly hair. For oily hair, you can also try a scalp treatment with salicylic acid. 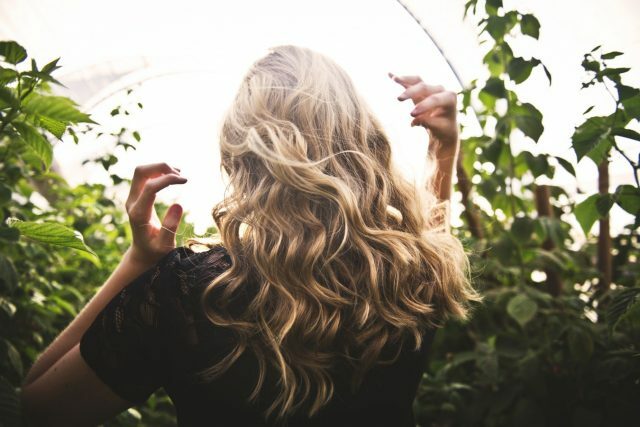 When you follow these 5 tips from MONAT, you will be able to show off your strong, healthy, beautiful hair. Taking care to follow these 5 tips will help you project the best possible image to the world.